« Older: San Pedro Second Annual Coconut Cup a success! Newer: » San Pedro Academy Girls advance U-17 Inter-District Football Tournament Finals! The San Pedro Pirates hosted Verdes F.C at the Ambergris Stadium in San Pedro Town for the first round of the Premiere League of Belize (PLB) semifinals 2018 on Saturday, December 8th. The island team fought hard to win their first semifinal match against Verdes F.C but fell short to the visitors. The match began shortly after 7PM, with Verdes F.C determined to take the victory. 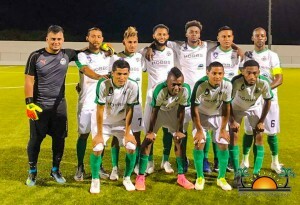 Within the first four minutes, Darwin Bermudez scored the first goal for Verdes F.C. With that early lead, the match intensified, and both teams went hard on each other. Nevertheless, at minute 21, Verdes’ Nahjib Guerra found his way to the net and scored another goal for his team. Shortly after, Bermudez netted the third goal. With the visiting team leading 3-0, the island team tried unsuccessfully to score, the match slipping away from them. The first half came to an end with Verdes F.C leading. In the second half, the story changed, and both teams had equal control of the ball. The Pirates managed to stop any more goals from Verdes until minute 75. Verdes Elroy Kuylen took advantage of a break and scored another one for his team. At minute 85, Pirates’ Edwardo Chavira responded with a goal for his team. It was the only score for the island team, and thus Verdes F.C walked away with a 4-1 victory. 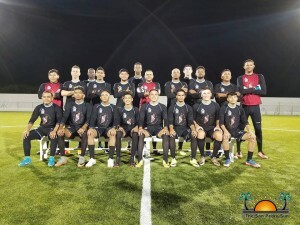 The other semifinal game that took place during the weekend saw Belmopan Bandits and Police United F.C in a tight match that ended in a 1-1 draw. For the San Pedro Pirates to advance to the finals, they will have to shut-out the Verdes F.C at least 4-0. For the second round of the semifinals, the San Pedro Pirates F.C will be traveling to San Ignacio Town to face Verdes F.C on Wednesday, December 12th. The game is scheduled to start at 7:30PM at the Norman Broaster Stadium. For more information on how to accompany the Pirates as a fan, you can contact 623-0772.